Wow what a quarter, I have managed to read 52 books and most of them non-fiction. 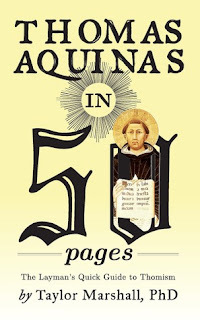 I have built out an awesome and ever expanding Catholic reading list for 2016. There are some amazing books in these 2 lists! Though to be honest working from my favorite and influential books by year list it was very hard to narrow down to the top ten non-fiction list. 2. 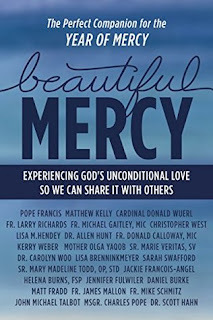 Beautiful Mercy - Pope Francis et al. "You are always with me, Jesus, but you are not present to me as you were to your disciples. I seek greater closeness with you." Read the Gospel: Matthew 9:14-15. Then the disciples of John came to Jesus, saying, "Why do we and the Pharisees fast often, but your disciples do not fast?" And Jesus said to them, "The wedding guests cannot mourn as long as the bridegroom is with them, can they? The days will come when the bridegroom is taken away from them, and then they will fast." When Jesus, the bridegroom, is taken from them, then will his disciples fast. When you fast and pray, you imitate me. When you fast and pray, you draw out of yourself and enter into me. I can teach you what you need to know. What else is Jesus saying to you? This book is part of a larger series. I happened to have read the Advent 2016-2016 volume and enjoyed it a lot. 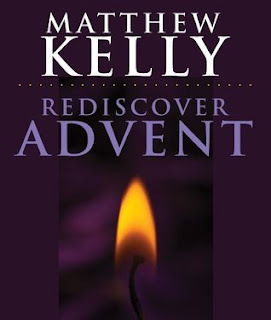 There is also an annual volume for the whole year that begins in Advent and goes through the whole church year. This was a good devotional and I would likely buy the whole year volume next year. It was a good introduction to the style and format. And there were some really good guided reflections in this book. It has an appendix with the list of Sunday readings for each of year A, B, and C. So has the breakdown of reading through until 2022. Matthew writes in such a friendly easy to read engaging style that you can't help but keep reading. So far this year I have read three of his books and have a few more in my two be read pile. In this volume each day has a list of bible readings for the day, a focus verse a longer reflection, a short meditation and then a prayer to tie it all together. 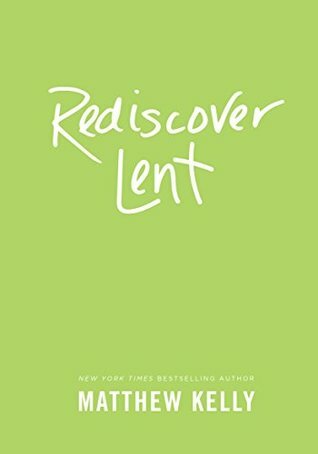 On Ash Wednesday, the first day of the devotional Matthew states "I find myself needing to turn back to God many times a day, in ways small and large. It is not a matter of guilt and it is not a shameful thing. It is simply that at his side I am a better person-a better son, husband, father, brother, friend, employer, and citizen. Over time, I have also come to realize, quite painfully, that when I turn away from God I am also turning my back on my true self." And that is the note that kicks off our journey. Then journeying for almost forty days on Good Friday he declares "Are we willing to change? I hope so. Almost every person I speak to about the future of Catholicism says, "The Church really needs to change," or something to that effect. What we perhaps forget in making this statement is that we are the Church, and so the real question becomes: Are you willing to change? Am I willing to change?" And to be honest if you read through this book, in prayer and meditation you will be changed. Changed by the word of god, and changed by your own prayers. 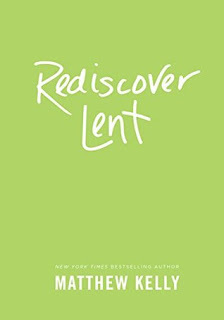 This was one of five devotionals I read through Lent in 2016. I know I will come back to it again and I highly recommend it. 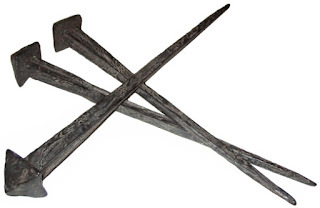 And the whole world was changed by three nails! This book is an excellent read even in it's briefness. The ebook comes in at 81 pages of text but could easily be a quarter of that size. As each page for the most part contains short thoughts, But the book as a whole is an address given by Matthew on May 17, 2014 that was given at commencement at Xavier University. It is a very powerful message. And to be honest even though I have read it twice I know I will be going over it a number of times as a reminder. A few quotes from the book will highlight the impact of this speech. what they can do in a month. can accomplish in a decade." you will become master of yourself." There is a great deal of wisdom in this little volume. If you will read it, take it in and apply it not only will your life be changed but you will have a huge impact on other people's lives. Possibly down through generations like the examples that Matthew highlights. This would be a great book for those in university to get them off to a good start, and for those of us later in life we can still gleam the wisdom and apply it to our lives. 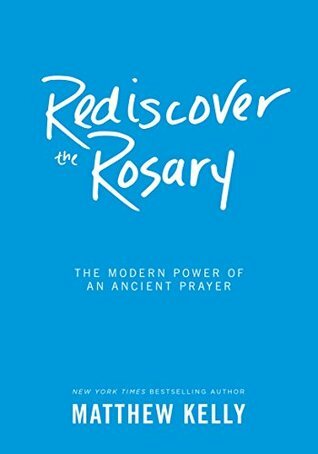 This is another excellent book from The Dynamic Catholic Institute and by Matthew Kelly I strongly encourage you got give it a read. Do with me what you will. Whatever you may do, I thank you; I am ready for all, I accept all. Let only your will be done in me, and in all your creatures.I wish no more than this, O Lord. Into your hands I commend my soul; I offer it to you with all the love of my heart, for I love you, Lord, and so need to give myself, to surrender myself into your hands, without reserve and with boundless confidence, for you are my Father. I need to start out by stating that my 3 children love these books. I started reading them with my son who is 8, soon his younger sister who is 5 joined us, and then his older sister who is almost 10 is now helping read them to the younger two. 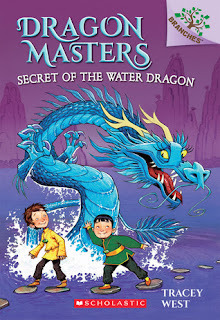 The books are entertaining and engaging from 5-45 years of age. And that in and of itself is a pretty strong endorsement. The young dragon masters encounter a new threat in this book in the series. The main focus is on Drake and his earth dragon Worm, and Bo and his water dragon Shu. 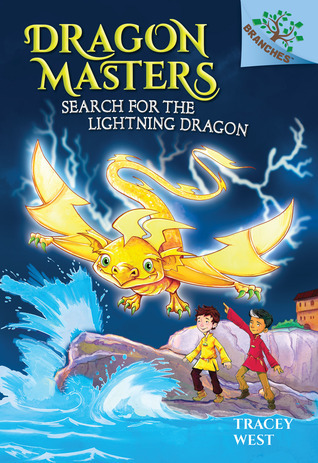 Someone tries to steal the Dragon stone which is used to find children to be dragon masters and which each master wears a piece of to facilitate communication between master and dragon. In this adventure we encounter The Raven Guard, ninja like characters, we have further adventures against Maldred and his dark magic. And a threat against Bo's family. 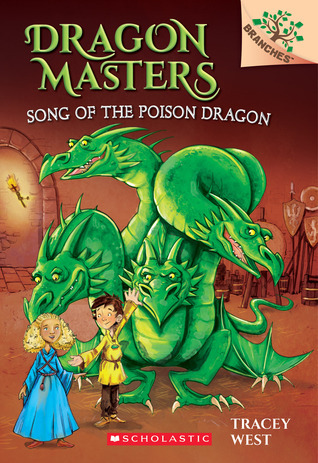 The dragons and children will need to work together to counter all these threats. Graham Howells does some amazing illustrations. And my children love looking at the books again and again. 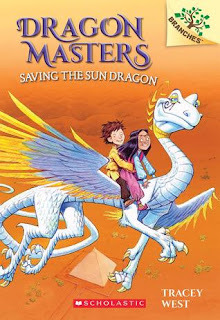 Almost every page is enhanced with embelishments and combining that with the stunning illustrations and a wonderful story and it makes for a great combination. This books are highly loved by my children. 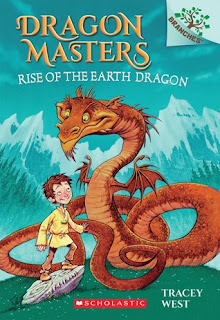 We have now read the 4 books available currently in this series, and eagerly anticipate book 5's release. My children love these books so much they are willing to shut off the TV to start reading earlier than normal. And we are now working through the series a second time. They are great reads and the adventure in this one was even more intense as the tension in the series builds. This is a great read for young and young at heart. Over the last few years I have encountered Matthew Kelly in numerous ways. First the ministry he help found Dynamic Catholic, and specifically the daily email and also the advent and lent devotions. Second through his books, I have read parts of a number and read a few completely. All of his books are excellent. This is the first longer audio file I have done and it is amazing. Matthew states: "God wants us to become the best version of yourself. That is his dream for you. God wants you to become the best version of yourself. God doesn't want you to become some second rate version of your parents. He doesn't want you to become a second rate version of your brothers and sisters. God doesn't want you to become some second rate version of your friends. And God want's us to stop being second rate versions of ourselves." And then he goes on to give a number of practical examples of how to move in that direction. 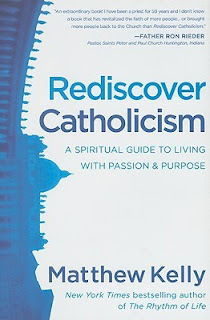 One of the key teachings is that "God wants us to become the vest version of ourselves, and that is the fundamental principle of life, of Christianity, spirituality and when we understand this fundamental principle everything else makes sense." And Matthew through the examples gives us multiple tools to help us learn to grow to live this principal. Matthew mentions that books can change out life. He has over 2000 books in his office, but has a special shelf of 37 books that are his life changes, that he goes back to. He also has a list of 10 books he recommends as a starting point. Matthew challenges us to spend 10 minutes a day every day for the next year with a good book. And a good book meets the fundamental principle. If we understand that fundamental principal and evaluate everything in our life by it we will be changed. It is so true that 90% of the Happiness and 90% of the misery in our life comes from our choices. Learn to start choosing the options that will lead to the best version of ourselves. It is what we were created for, it is what we were put here for it is the true meaning of life. I have listened to this three times through and recommended it to a few close friends. It is an awesome resource. Sometimes you read something so horrible it amazing you. This was one of those times. If there was a way to review it with giving 0 Stars I would. The title of this book grabbed my attention. I have ready many books by and about Merton going back to my days in university. I have been reading a lot by and about Pope Francis. I figured this book would be along the social justice lines, pointing out similarities in their thoughts or approaches. 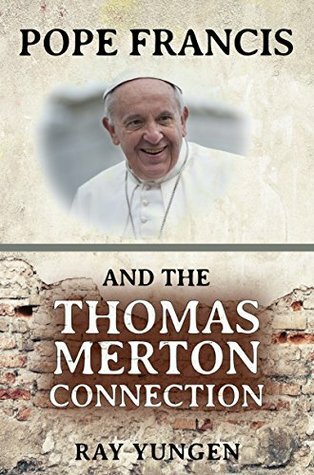 The author claims to have studied Merton for over 20 years, so I wonder how he can misread Merton so badly unless he has such huge blinders or it is intentional misrepresentation of facts. Most of his Merton quotes are partial and some with numerous … thus clipping the original context and distorting the intention. If Ray Yungen wants to understand Merton maybe he should go back and read some of Michael W. Higgin's works on the man. Or even my own piece Thomas Merton The Man, The Monk , and on Monasticism. Fortunately this is a very short booklet or I would have given up, and reviewed it without finishing. This book is supposed to be non-fiction and if so It is the worst I have read that I can recall ever. Don't waste your time or money, I wish I had mine back. Last year at work I did an in house leadership development program called LEAP Leadership Essentials Advance Program. A number of books on the recommended reading list were by Patrick Lencioni and I really found them useful and life impacting. 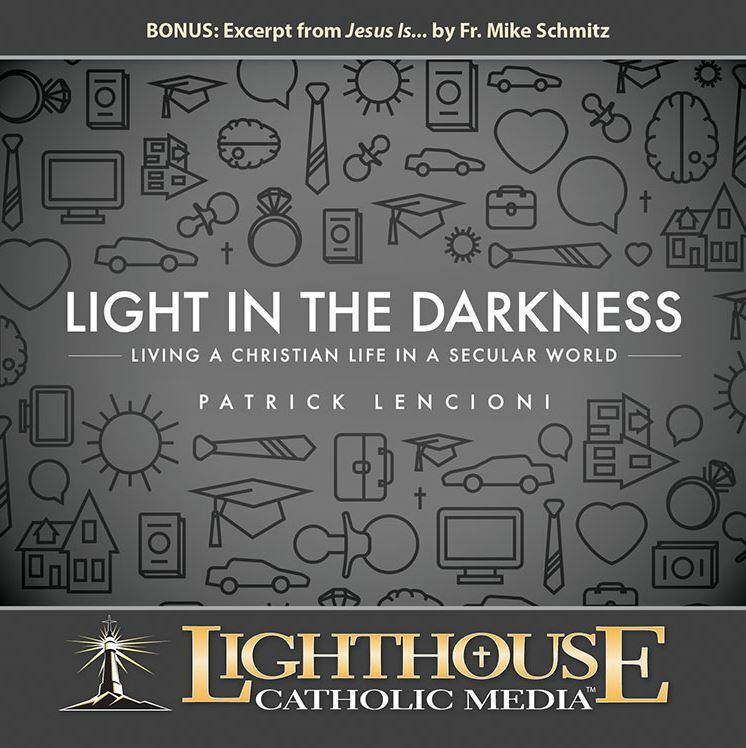 Then last week when at church I was looking over the rack of resources from Lighthouse Catholic Media and I saw this audio resource. Now to be honest I hardly every buy media, books, cd's, tapes … because I usually buy digital content. But this intrigued me so much I picked it up right away, went home and listened to it. I have now listened to it every morning for a week. "It is not happiness we are looking for … it is peace!" and "If we are not living for God you will not find peace!" From there Patrick goes on to encourage us to "Ask God to take away your pride!" and also to "Pray asking for the peace of God!" Patrick also encourages us to learn to be vulnerable, to trust and be a team player. We need this as a central life skill. This talk will have a huge impact on your life if you open to the Holy Spirit speaking to you. And it was so good that I have since picked up a few others. 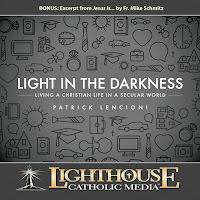 And look forward to exploring the hundreds of other titles available from Lighthouse. 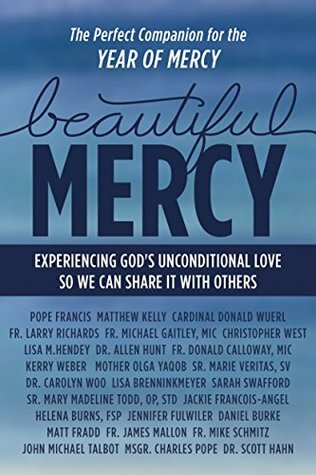 After Matthew reminds us of what the works of Mercy are he states: "For this book, we've enlisted the help of some incredible authors in the Church. 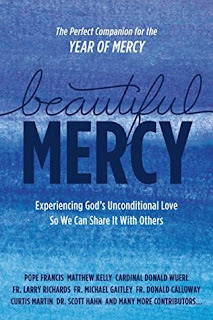 These authors have taken the fourteen works of spiritual and corporal mercy and provided simple, practical ways for you to understand them better and to incorporate them into your everyday life. 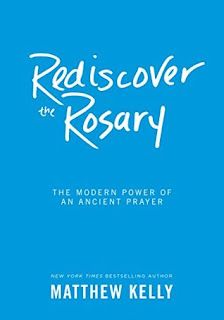 I hope you pray through this book and invite the mercy of God to transform your life, because in the end it's all about God's mercy." It truly is an incredible collection. A few of the authors I had encountered prior to reading this volume, a few I had never heard of. I have already picked up books by three of the contributors to add to my 'to be read pile'. 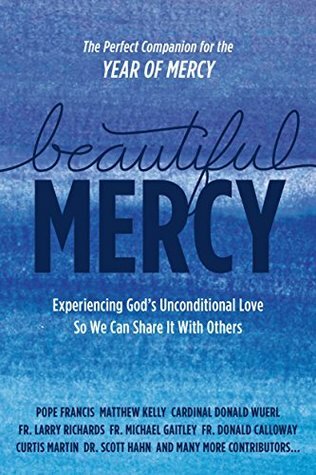 The introduction by Pope Francis says: "Jesus introduces us to these works of mercy in his preaching so that we can know whether or not we are living as his disciples. Let us rediscover these corporal works of mercy: to feed the hungry, give drink to the thirsty, clothe the naked, welcome the stranger, heal the sick, visit the imprisoned, and bury the dead. 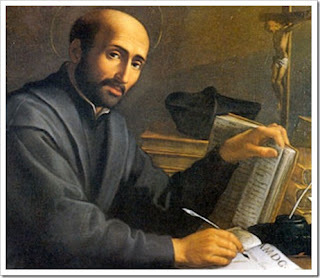 And let us not forget the spiritual works of mercy: to counsel the doubtful, instruct the ignorant, admonish sinners, comfort the afflicted, forgive offenses, bear patiently those who do us ill, and pray for the living and the dead." Pope Francis goes on to outline line that we will be known and judged by our actions And living the works of mercy is needed in our world and in our lives. Father Larry Richards declares: "We must feed the hungry or be damned! Did I get your attention? I hope so!" what a way to grab our attention at the beginning of his piece on Feeding the Hungry. And later Christopher West writing about giving drink to the thirsty quoting Pope Francis: "I see clearly," said Pope Francis, "that the thing the Church needs most today is the ability to heal wounds." And this means that "ministers of the Church must be ministers of mercy above all." Ministers of mercy are those willing to enter into the pain and misery of people's lives, touch their wounds, and surprise them with tender, healing love." What would our families, our communities look like if we strived to live this better each day? Also writing about giving drink to the thirsty Lisa M. Hendley says: "Sometimes the "drink" we carry to those who thirst will be literal. Often, it will be figurative. Regardless, let us pray daily for gratitude for those who have quenched our thirst and for the grace to carry the drink of living water to those most in need." How often do we acknowledge those who have filled our cup? Do we as generously then fill others? Later Dr. Allen R. Hunt writing on clothe the naked reminds us that: "In the corporal works of mercy, Jesus calls us to do something-not simply to talk about it, not to study it, not to establish a committee to develop a plan for it, but to do it. To really and truly clothe the naked." There was a time many years ago when I was out of work and in a new town, I noticed the worship leader wore a different winter coat every week and I was without one. I asked him if I could borrow one until I could get one. The next week he showed up with a hockey duffle bag full of clothes for me all from his closet. This man literally clothed me and I never forgot it. Curtis Martin writing about comforting the afflicted says: "For nonbelievers, there is enough evidence to conclude that the world is an essentially brutal place, where the innocent and weak not only suffer, but suffer at the hands of the strong. They believe that Darwin was right and only the strongest and the fittest will survive. Jesus came to reveal a radically different perspective, a deeper truth, a more powerful truth: that suffering, while real, is not the final word." And we as the body of Christ as that witness in the world. Can our neighbours and friends tell a difference between us and how we live and the non-believers they know. For many years now one of my often spoken prayers is that 'my actions would live up to my theology' that sentiment is echoed in the quote at the beginning of the section on Instruct the Ignorant: "For nonbelievers, there is enough evidence to conclude that the world is an essentially brutal place, where the innocent and weak not only suffer, but suffer at the hands of the strong. They believe that Darwin was right and only the strongest and the fittest will survive. Jesus came to reveal a radically different perspective, a deeper truth, a more powerful truth: that suffering, while real, is not the final word." This reminded me to ask what is my life witnessing to. 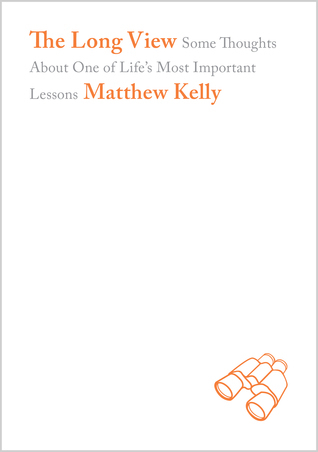 The greatest strength is this book is the stories, from the introduction by Matthew Kelly with the stories of Adam, David, Mary Anne to the stories in each separate piece either the authors own witness or the stories they have observed. I really do not believe you could read this book and not be moved and challenged in your own life. For me it was strange but as I was reading the section that hit me most was Bury the Dead, my oldest is in training to become an alter server, in communicating with the lady who coordinates it for our parish I mentioned that I had server from a child well into university. She asked if I would be willing and able to alter server at the occasional funeral mass when they need assistance. I said yes, how could I not. It is a small sacrifice on my part to help live this out. Please give this book a read, it will dramatically impact your life, and through your life those who know you and the ripples will keep spreading out. This is an amazing book and I highly recommend it.